The famous grizzly bear is actually simply a North American brown bear. About 55,000 wild grizzly bears live in North America—mostly in Alaska. These amazing creatures vary in size and color largely due to their diet. Grizzlies that live inland from the coast in the Rocky Mountains are typically smaller and spend nearly half of their lives (5-7 months) hibernating in dens. But grizzlies that live near the coast have better access to food sources and spend less time in dens. 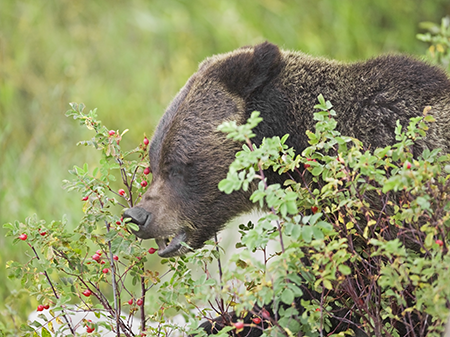 Where food is very plentiful year round, some grizzly bears skip hibernation altogether. So you see, grizzlies show design: God created the grizzlies to hibernate longer in areas where food is less available! God made grizzlies to be important “seed distributors.” For example, when grizzlies consume fruit, the seeds in the fruit are carried in the grizzly’s body to other locations and deposited so that those fruit plants are able to grow there as well. When grizzlies forage for tree roots, plant bulbs, or ground squirrels, their claws stir up the soil which, in turn, creates greater plant diversity. Stirring up the soil also causes nitrogen to be dug up from lower soil layers, making nitrogen more available. And that’s not all! When grizzlies grab salmon from streams and drag them into the forest, more nitrogen is infused into the forest. God designed the grizzly to have a major impact on the ecosystem. Grizzlies were designed by God to regulate prey populations of grizzlies, which also helps to prevent overgrazing in forests. When grizzlies were removed from an area, the plants that they consumed in large quantities increased. 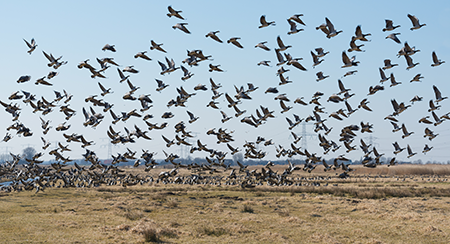 By changing the density of plants in the area, the population sizes of migratory birds were decreased. 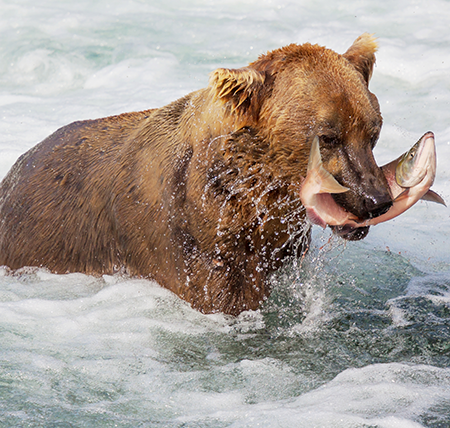 And when grizzlies fish for salmon along the coasts of Alaska, they often only eat the skin, brain, and eggs of the fish. But they’re not being wasteful! They are providing a food source for gulls, ravens, and foxes which also eat salmon. All four animal populations are benefitted. God’s complex designs are “beary” incredible!